Find an image that starts with the letter A, paste it, draw it, paint it, sew it, etc. onto your page in a layout featuring the object or you can journal around it as to what that item means to you. 1st book in a 26 book journal set. This is a collaborative art journal. You are welcome to mooch it and add a entry into it. Feel free to be as creative as you like – doodle, draw, paint, and sew your soul into your art. I just ask you take proper precaution not to damage other artist’s entries, you can do this by skipping a page between entries if you would like so that inks, paints, glues, etc do not bleed through to the other pages. Another excellent tip is to place wax paper between the pages you are working on and the previously finished layouts. You can do as many pages as you would like. But be sure to post it back up to be mooched by other BMJournalers or contact me when it is full so that I may mooched back home. Please relist using this description so that I may track where it has traveled. 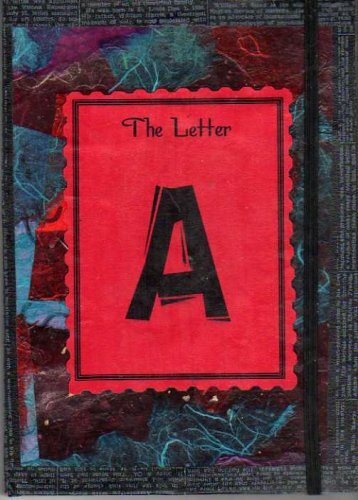 To see a gallery of images or to send me a scanned image of your layout you completed for this journal go here: The Letter A gallery.